Gorman-Rupp Ultra V Series engine-driven, self-priming centrifugal pumps are designed for heavy-duty solids handling, high-head applications. Advanced features allow for easy access during maintenance. 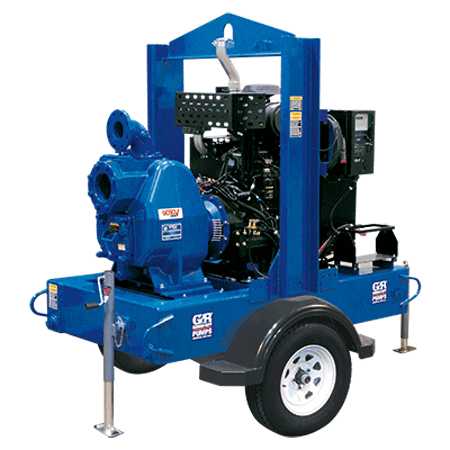 Built upon the foundation of the Super T Series, Gorman-Rupp's Ultra V Series pumps excel in high-head applications where traditional self-priming trash pumps fall short.